Deptford Cinema has teamed up once more with leading independent entertainment distributor Arrow Films for another season celebrating both dynamic new cinema and classic and cult films restored to a new level of quality, including landmark titles such as Cinema Paradiso (25th-anniversary re-issue), Donnie Darko (15th-anniversary re-issue) and Hellraiser (30th Anniversary re-issue). 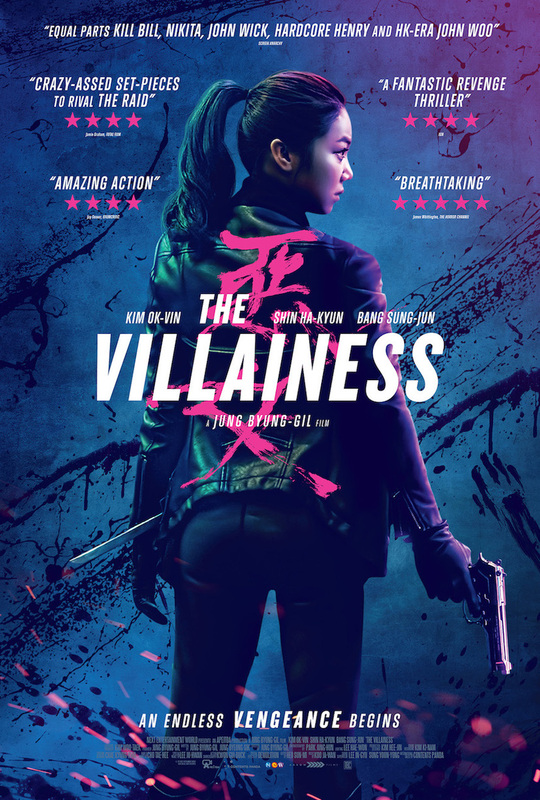 Sook-hee (Kim Ok-bin, Thirst) is a trained assassin who takes revenge on the men who murdered her father in a breathtaking opening sequence. After losing consciousness she awakes at the National Intelligence Service who recruit her as an agent to undertake confidential missions. Initially refusing, Sook-hee soon realises it is her only method of escape, until she is assigned a new assignment that changes everything.A crazy excess of South Korean neo-noir/martial arts action ensues!